Miladinov Farm was established in 1981. In 1970, Ilija Miladinov emigrated from Eastern Europe to Elizabeth, New Jersey and began working in a butcher shop. He quickly assimilated to American society, opened his own butcher shop, and eventually moved his shop to Ridgewood, Queens, New York. Ilija's dream was to always have his own produce farm where he could sell the produce in his shop. Therefore, in 1982, Ilija and his wife, Christine, decided to purchase a farm in Central New Jersey to begin that dream. 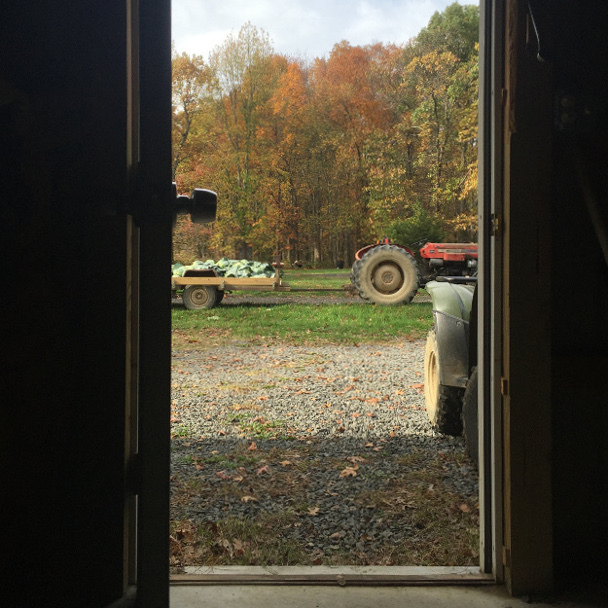 The produce grown and harvested on the farm was delivered to the shop daily. The shop continued to thrive for many years, and throughout those years, Ilija and Christine's three sons learned every aspect of farming and selling. They learned that quality, freshness, pricing and customer service were essential and key elements of the business. Today, Miladinov Farm continues to grow as a well known produce farm that provides high quality fruits and vegetables harvested from the trees and vines directly into the customers' hands. The products are not harvested green, not sprayed with storage and ripening chemicals, nor coated with any waxes. There are no harmful chemicals, fertilizers or hormones used either. The fruits and vegetables are harvested ripe, placed directly in containers and delivered to the customers. As a result, the customers receive fresh, healthy and high quality produce. Every spring, a convential flat planting preparation and and layered bedsulch is laid for the field crops where drip irrigation is used to produce high quality tomatoes, peppers, cucumbers, eggplants, zucchini, watermelons and cantaloupes. The fruit trees and vineyards are methodically pruned and thinned to generate delicious peaches, plums, apples, nectarines and grapes. Throughout the season, the utmost care and maintenance is performed to ensure the customers receive the utmost quality produce. Our goal is to provide the freshest and highest quality produce at the most reasonable price in both the wholesale and retail markets.